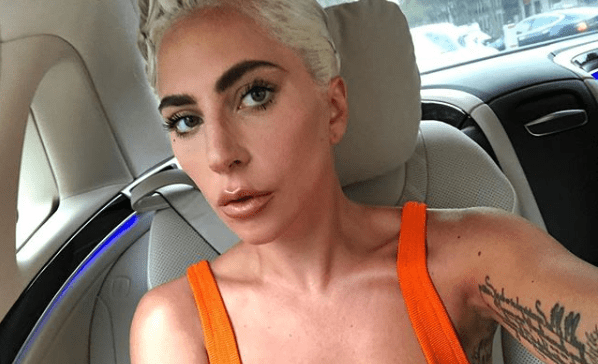 "Suicide is the most extreme and visible symptom of the larger mental health emergency we are so far failing to adequately address," says Lady Gaga on World Mental Health Day. Lady Gaga is calling for better support services for people suffering from mental health issues. The Grammy Award-winner made the call in an op-ed she wrote for The Guardian to mark World Mental Health Day, which falls on October 10. Gaga co-wrote the op-ed with Dr Tedros Adhanom Ghebreyesus, director-general of the World Health Organization (WHO). "Suicide is the most extreme and visible symptom of the larger mental health emergency we are so far failing to adequately address. Stigma, fear and lack of understanding compound the suffering of those affected and prevent the bold action that is so desperately needed and so long overdue," the pair write. They called for great funding to treat mental health, noting that just 1% of global aid goes to dealing with issues related to the condition. "The time has come for us all, collectively, to tackle the causes and symptoms of mental illness, and provide care for those who suffer from it. You don’t have to be an international artist or the head of the World Health Organization (WHO) to make an impact." The theme of this year's World Mental Health Day is "Young People and Mental Health in a Changing World, with a focus on teen suicide. According to WHO, 800,000 people kill themselves every year. A Burden of Disease study revealed that 6, 133 South Africans killed themselves in 2012. Lady Gaga opened up about her depression several years ago. She told Billboard magazine in a 2015 interview that she suffered from depression and anxiety her entire life. The 'Born This Way' hitmaker says kids have become a lot more isolated, making them more vulnerable. "There is something in the way that we are now, with our cell phones and people are not looking at each other and not being in the moment with each other, that kids feel isolated... I’ve suffered through depression and anxiety my entire life, I still suffer with it every single day. I just want these kids to know that that depth that they feel as human beings is normal. We were born that way. This modern thing, where everyone is feeling shallow and less connected? That's not human," she told the publication.